After being instantly smitten with Ambre Narguilè, left rather cold by Rose Ikebana, and generally underwhelmed by Poivre Samarcande, I was thrilled to discover that Vetiver Tonka, the fourth in the Hermessence Discovery Set, is gorgeous, wearable, and completely me, a very close second in quality and beauty to AN. All four were created by Jean-Claude Ellena operating in his modern-day light- transparent-minimalist mode, but Vetiver Tonka, like AN, is much more complex than its apparent simplicity would suggest. Two parallel threads open the scent: bright vetiver underscored with citrus, and the warmth of toasted nuts, possibly sugared brazil nuts fresh from the oven. And these two basic ideas continue to run side by side for hours, occasionally weaving in and out of one another: dry, masculine, slightly cologney vetiver paired with warm, edible tonka bean (made even more edible by that roasted-nut smell). I haven't posted anything in two weeks now, not because I'm lazy (or not just because I'm lazy), but because I've been trying to write about Poivre Samarcande, another in the Hermessences line, and it just keeps eluding me. The real trouble with Poivre Samarcande is that it's not just simple, or minimal: it doesn't seem to be complete. It's like a doodle rather than a painting, a few random notes tinkled on a piano rather than a fugue. It reads as part of a scent rather than a scent on its own. Rose Ikebana made me think of layering, probably because it wasn't interesting enough to stand on its own, and this one has the same effect. I've been wearing Poivre Samarcande a lot in the last couple of weeks, and honestly enjoying it for all its limitations: it lasts longer than I'd expect from something so simple, and the big gust of black pepper is bracing. But I can get that from Demeter for a fraction of the price. Again, for $200, I just can't see how this is worth it. I would want a lot more for that kind of money; something nonesuch, something wonderful and magical. Poivre Samarcande, whatever else it might be, isn't that. I like powdery scents. I like sweet scents. I like animalic scents. I love amber scents. 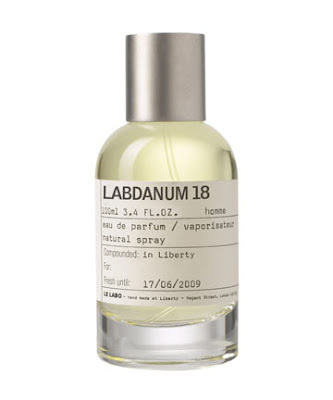 Labdanum 18 by Le Labo has all these qualities in abundance, and yet somehow it is just on the verge of nauseating, as if you had eaten an entire canister of baby powder. I really wanted to like it: on paper it sounds like the perfect thing for me. (I ordered a bunch of samples from Luckyscent last month, and this was the only Le Labo I chose, because of all of them it seemed like the one I was most likely to enjoy.) On my skin, though, it starts out with a huge blast of sweet powdery musk and it just does not let up. It resembles Louve, with hints of cherry pipe tobacco, though not as noxious, but like that scent, it has an assaultive presence, even in very small quantities. The sample vial is sitting on my desk a couple of feet away from my nose, and though I didn't spill any and there can't be more than a small clutch of molecules at the rim of the vial, the scent is pretty much blanketing the nearby air with its sweet animalic powderiness. There is a slow development; it's not quite linear. But by god there is a lot of powder there, and a lot of sweetness, and it will stick with you for an entire day, and if you try to wash it off, it will laugh at you. In fact, if you try to cover it with another scent, it will batter that scent into submission and reassert itself, so don't even try. 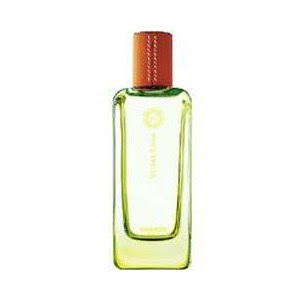 Once you have applied Labdanum 18--the number refers to the number of elements the scent has--you are going to be wearing it and nothing else for a long, long time.